Running a local neighborhood car wash can be both fun and rewarding. But it’s not necessarily a simple or easy proposition. In fact, there’s a lot more to running a successful car wash than being good with a squeegee. While this may seem out of order, this is actually the best place to start your decision-making process when it comes to opening and running a successful car wash business. There are pros and cons to both choices, but in many cases buying an existing car wash will allow you to bypass many of the following steps because the current owner will have already done the work for you. This is assuming that the car wash you’re considering buying is currently profitable and has a solid, established customer base that is unlikely to shrink. If that’s the case, much of you preparatory work and research will already be done for you, allowing you to arrange the financing and step into the role of owner with little or no effect on the day-to-day operations of the car wash. 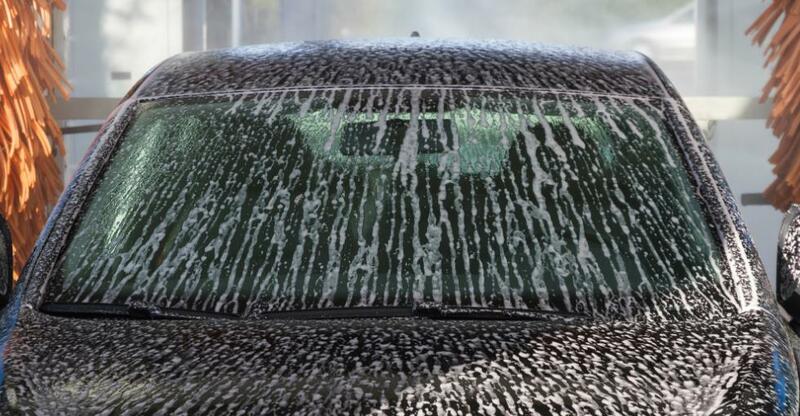 Assuming you’re going to pursue opening your own brand new car wash, you should start your research by determining state and local legal requirements, including licenses, zoning, and any other special considerations for opening this type of business in the area(s) you’re considering. Since a car wash is going to use a tremendous amount of water and electricity, the cost of utilities and any sort of potential restrictions on usage must be considered as well. While researching these matters, it may be wise to get the help of an experienced lawyer who is familiar with the local small business environment. A lot big enough to safely and comfortably accommodate incoming and outgoing traffic as well as vehicles maneuvering around and through the car wash facility. If one of those factors is missing, the other three had better be extra special, or it’s unlikely to be an ideal location for a brand new car wash. Whether your car wash is going to be a fully-automated drive through operation, or a slower, detail-oriented, handwashing service, you’re going to need to focus a lot of attention on customer service. Everything about how your car wash is laid out, how customers are instructed, the payment process, and every other aspect of the customer’s experience needs to be considered and made as painless as possible. This is a highly competitive industry and the service you’re offering is not vital for survival. So there’s truly no room for customers to drive away less than delighted, or they simply won’t come back. For the same reasons noted above, marketing and advertising are crucial for a car wash. This goes even more so for brand new operations. Not only do you need to make sure your brand and location become familiar to everyone within five miles, you also need to convince them of the need to wash their cars and remind them that they should do it routinely. In a busy world where everyone’s struggling to fit things into their hectic schedules, this is no easy task. It requires concerted advertising and marketing efforts that make up a long-term strategy. One of the keys to success for car wash businesses is being able to secure long-time repeat customers who get their vehicles washed routinely week after week or month after month. The best way to make that happen is to reward your customers for doing so. You can arrange a loyalty program that offers customers a free high-end wash after they’ve paid for X number of washes. Or, you can set up a significantly discounted price that’s paid every month or prepaid for the year that allows the customer X number of free washes during their subscription period. Some car washes even provide unlimited washes with membership. This provides incentive for the customer to avoid all your competitors (since they’re being rewarded and/or they’ve already prepaid to use your car wash), and provides you with guaranteed income in a business model that historically hasn’t been able to rely on that. Another valuable tip for successfully running and growing your car wash business is to introduce complementary products and services to your offering as soon as it’s financially feasible to do so. For instance, installing a few self-serve, coin or card-operated vacuums customers can use to clean their vehicle’s interior is a natural addition to any car wash’s exterior cleaning service. Having employees available to towel-dry the vehicle for an extra charge provides an option for customers who want to eliminate streaks and spots at all costs. And offering small items the average car owner would appreciate under the circumstances - such as air fresheners or tire cleaner - can add a lucrative additional stream of income. Car washes will vary in quality and success at almost every turn. Engage with successful car wash owners and find out how they keep customers coming back. Whist it may be considered that imitation is the sincerest form of flattery, incorporating their wisdom into your plans could well be the best move you’ll make.